These are the Cydia download instructions & latest jailbreak status of iOS 11. 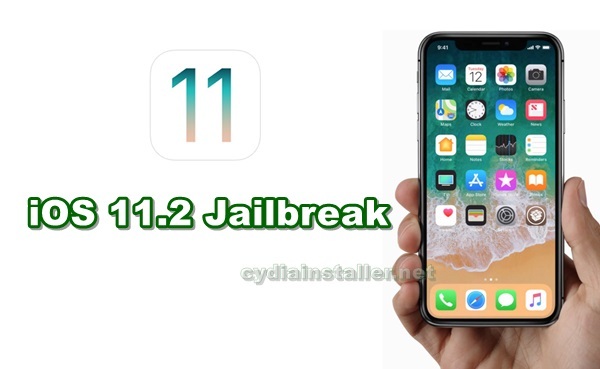 Can I jailbreak or install Cydia for iOS 11.2.1, iOS 11.2, iOS 11.1.2, iOS 11.1.1 – 11.0 on iPhone, iPad or iPod now? Here you can find all relevant & real information about iOS 11 jailbreak for Cydia download. Apple just released iOS 11.2.1 latest version for compatible iPhone, iPad & iPod. This includes several bug fixes & improvements for iOS. With each & every firmware update releases, Cydia loving peoples want to check whether there is any jailbreak update available for that version. Jailbreak developers also try to find a new vulnerability to make working jailbreak for latest firmware versions. Now try to answer that question, can download Cydia for iOS 11.2.1 / 11.2 / 11.1.2 / 11.1.1 – 11 at this moment? No, you (public users) are unable to get Cydia app for iOS 11 running devices now. because, NO jailbreak publicly available for iOS 11. 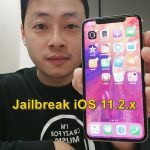 Jailbreak iOS 11.2.1 / 11.2 / 11.1.2 / 11.1.1 – 11.0 is impossible ? No, it is actually possible. The security research teams like KeenLab, Pandora Lab as well as hacker Abraham Masri has proven iOS 11 is jailbreakable. They already have successfully jailbroken & install Cydia on iOS 11 latest versions. But, they never released iOS 11 jailbreak solution for public users. In addition, several developers are working on iOS 11.2.1 – 11 to find a jailbreak solution. Keep your hopes up, public jailbreak will be available in near future to download Cydia iOS 11 for your iPhone, iPad or iPod. What is the latest iOS version publicly available jailbreak ? It is iOS 10.2.1. The Saigon jailbreak can use to Cydia download for iOS 10.2.1 64-bit devices. Currently, Cydia not available for public users with iOS 10.3 and later versions running devices. How to download jailbreak apps without Cydia ? 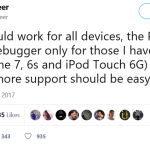 Ian Beer releases exploit for iOS 11.1.2. Update : Jonathan Levin is ready to release universal jailbreak for iOS 11 – 11.1.2 for all 64-bit devices. Are you ready to get Cydia for your iOS 11 running device? We’ll let you know as soon as release jailbreak for install Cydia iOS 11.2.1 – 11. Follow us on Twitter, add us to your circle on Google+ or like our Facebook page and stay keep in touch with us. Hi Brady, what is your device & iOS version ? ?